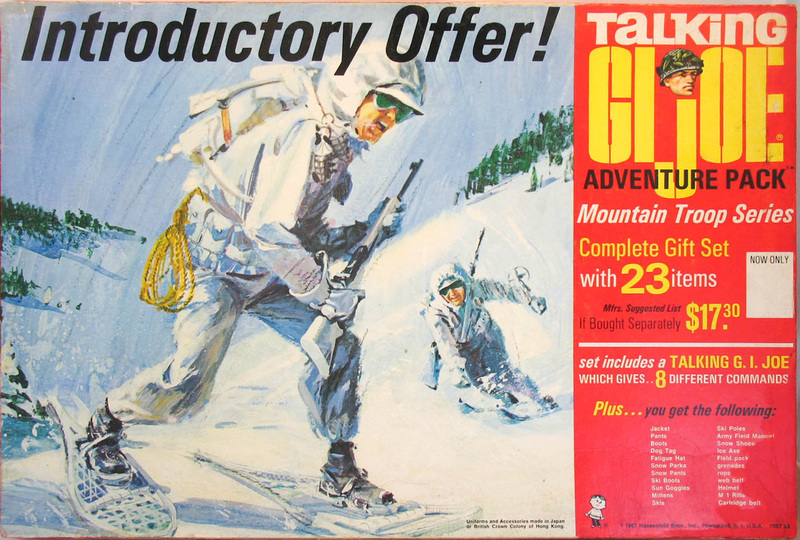 Like the other Special Value sets, the Mountain Troops Adventure Pack (7557.83) was available in 1967 and 68, and was sold both as a way to introduce the new talking GI Joes and as a way to blow out overstock of military sets. For my money, these boxes are some of the ultimate eye candy in the military line. They are extremely fragile as manufactured, and have had a very low survival rate. The box on display here was professionally restored by Anthony Restorations who I can recommend highly. See the special page devoted to the restoration of this box and the Navy Scuba Series Special Value box. 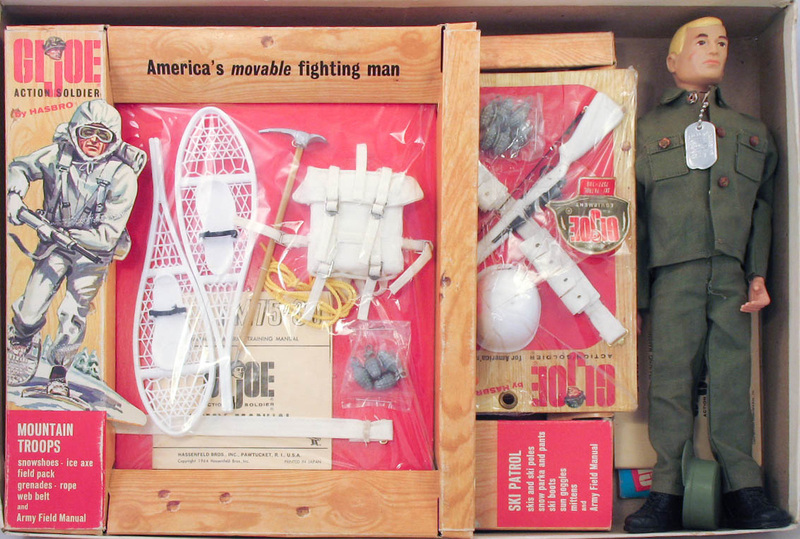 Contents of the box include a Talking Soldier and associated paperwork, a Ski Patrol window box, a Mountain Troops window box, and a Ski Patrol Helmet card. Click on the names of the individual sets to see more details about them.